I love this! You did a great job of explaining your reasoning and verbalizing many of my own thoughts. You’re awesome Rachel! The word “Feminism” has been so tainted over the last decade or two, and the recent antics of some of these feminists do not make themselves look good, and does not help their cause. You are right when you say that it does not represent every woman, which is why I am so frustrated when people label the “kickbutt woman” as the only example of a feminist. If it’s really about choice, than a woman should be able to be a conservative, a housewife, so on and so forth. It’s really sad what it turned into. This is one of the best articles I have seen in a very long time. Thank you for sharing! I was present at the Inauguration in Washington, D.C. I also got caught up in the Women’s March (all I wanted to do was see the Hubble Telescope people!). What I saw disgusted me and was more degrading to women than things that Donald Trump has said (which are still very degrading). Some solid points; good discussion. I see what you mean. & (for example) I support Emma Watson’s Feminist Gender Equality. She’s good. But the word ‘Feminision’ (and therefore its meaning) has unfortunately been tainted recently by, these so called “Feminists”. Mainly some Celebrities and Politicians (who are fake Feminists, in my opinion). These are the ones who have tainted ‘Feminision’. Bringing down, attacking, discriminating men and other woman isn’t Feminision. & saying, “Oh its modern Feminision”. No, thats ridiculous! Feminision is, always has been, hopefully always will be (and should be) equal rights for the sexes. Thankfully there are still some good Feminists out there. But unfortunately a lot of fake ‘Feminision’ out there as well. Definitely. The word has been co-opted by a particular ideology so that it is not just equality between sexes it means acceptance of abortion which I cannot. There isn’t a middle ground of points we can all agree on. Like why for example could the march not have been about domestic abuse and supporting mothers? We could all support that. Muslim and foreign women marching for their gender and racial rights. People who disagree with Trump. People marching for Planned Parenthood. Women marching for their rights. 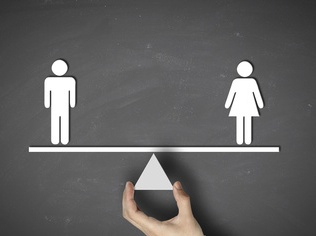 To acquire gender equality. Women marching because they believe they still need to fight for, and celebrate the rights they have gotten. Even for the experience and atmosphere. Women marching because their female role models were present. and/or all of the above. Yeah but abortion was a declared part of the official platform and prolife groups were particularly excluded and criticized by leaders. It really wasnt an inclusive event as advertised when you dug into it. They were originally going to include a group called New Wave Feminists as a sponsor but then decided against it and came out with a statement clarifying they had no part in the message of the march. The official statement on pro-life feminists in the Women’s March “The Women’s March’s platform is pro-choice and that has been our stance from day one. We want to assure all of our partners, as well as participants tht awe are pro-choice as clearly stated in our Unity Principles. We look forward to marching on behalf of individuals who share the view that women deserve the right to make their own reproductive decisions. The anti-choice organization (New Wave Feminists) in question is not a partner of the Women’s March on Washington. We apologize for this error. People who agree with this agenda and marched more power to them but I could not. Great post! Modern feminism has become highly intolerant if we look into the culture of leftist college campuses. I prefer listening to authors like C.H. Sommers and Camille Paglia. Unfortunately, there are very few logical feminists left and it’s much better to just drop the feminist label.